June 24th to June 30th is National Lightning Safety Awareness Week. Since this week started in 2001, fatalities from lightning have dropped from 50 to about 30. The reduction is due to people becoming more aware of the danger of lightning and seeking safety when thunderstorms arise. So far in 2018, there have been 4 lightning deaths. Each day this week, you can learn more about lightning and how to protect yourself in a storm. -Lightning is one of the top three storm-related killers in the U.S.
-A safe shelter is a building with electricity and/or plumbing or a metal-topped vehicle with windows closed. -For organized outdoor activities, it is recommended that organizers have a lightning safety plan. -There is little you can do to reduce your risk if you are outdoors in a thunderstorm. 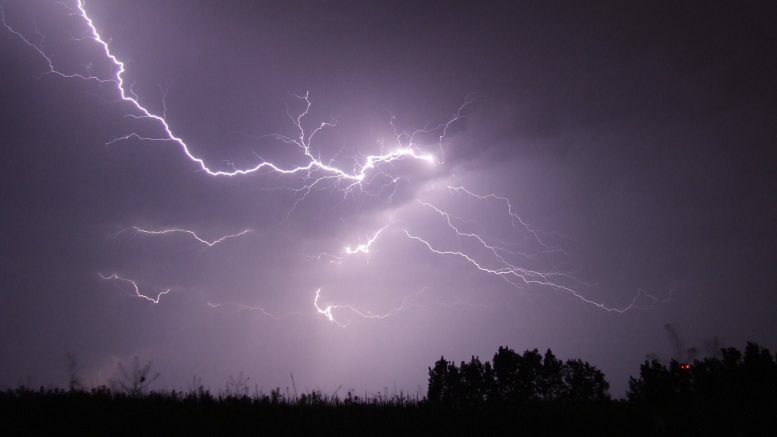 -Lightning protection systems do not prevent lightning from striking the structure, but rather intercept the strike and disperse the energy safely into the ground.